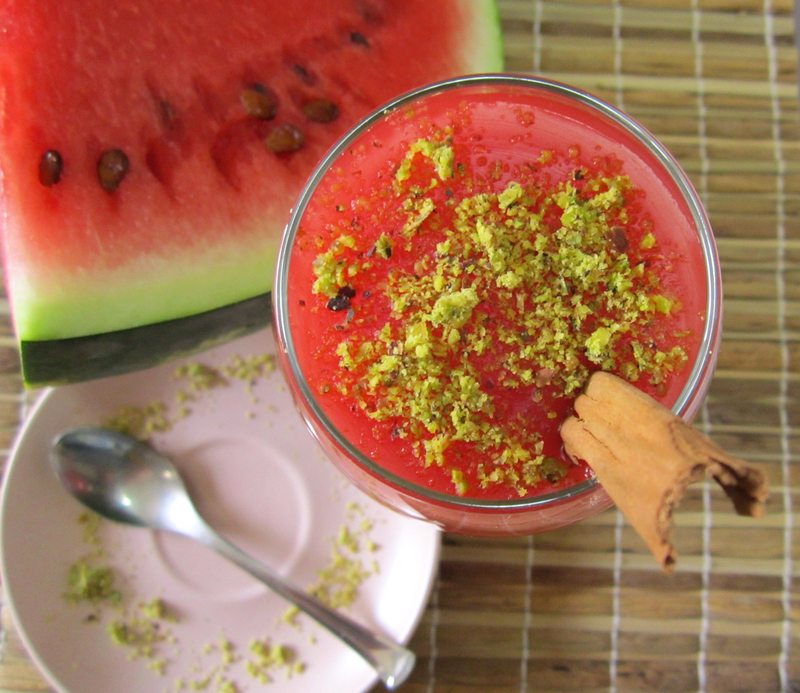 Cut up a watermelon and pass it up to extract one liter of juice. Strain the juice to remove seeds and pour little by little in a pot, mixing of sifted wheat starch to obtain a liquid cream. 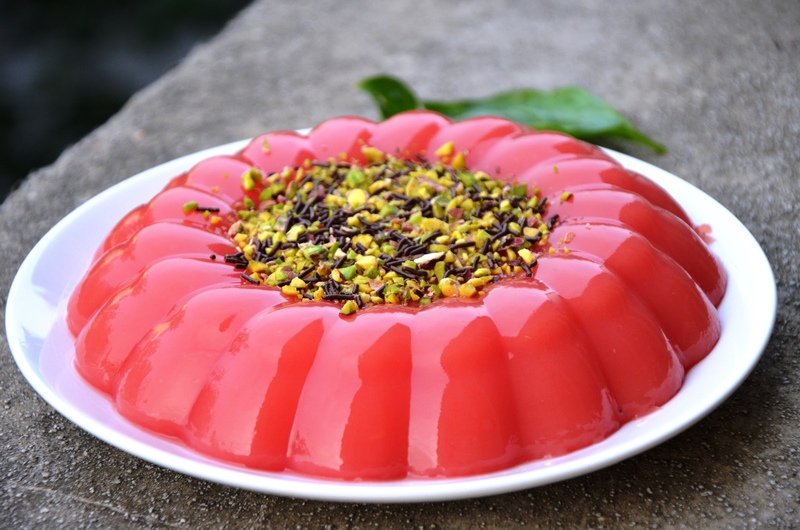 Combine sugar to the mixture, place the pan on a moderate flame stove and mix thoroughly until the watermelon frost does not thicken and take on a more intense color (10-15 minutes). 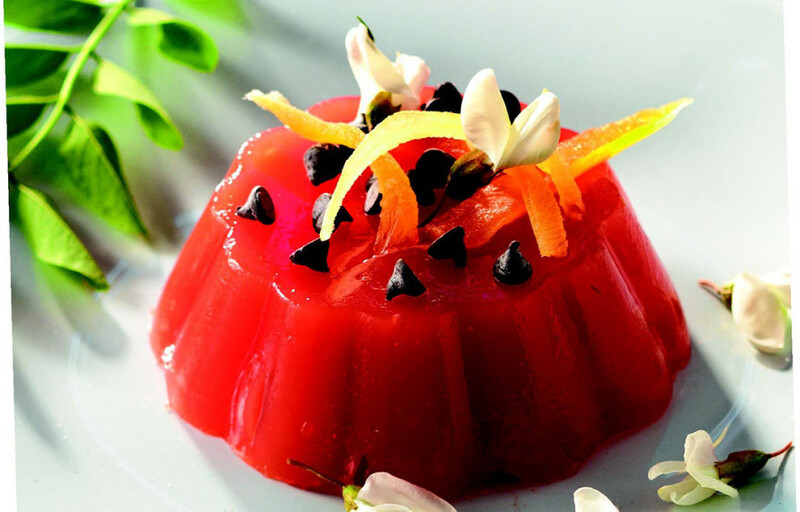 After this time, remove the “Gelo” from the heat and put it to cool in another container. 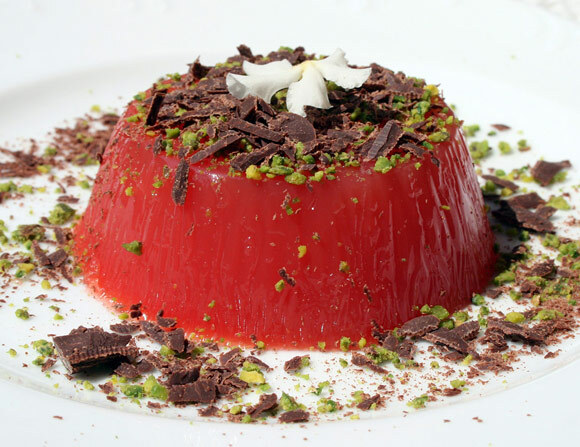 Cool the watermelon “Gelo” in the refrigerator for the time necessary in order to assume more or less the consistency of a pudding and finally garnish with a sprinkling of cinnamon, some other drop of chocolate and chopped pistachios before serving.